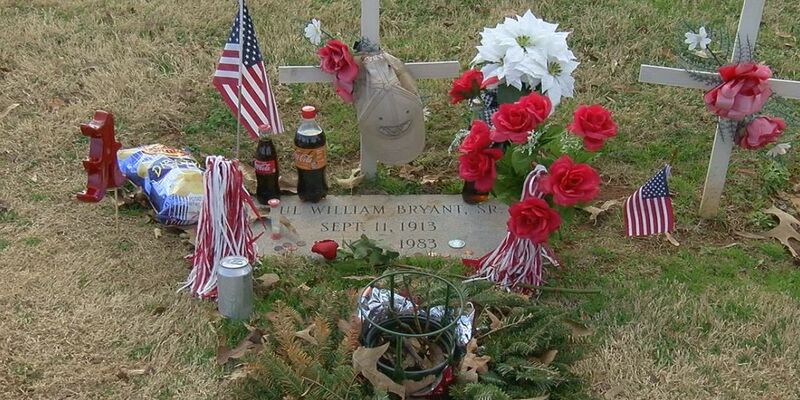 BIRMINGHAM, AL (WBRC) - It’s been 36 years since Paul William Bryant Sr. passed away. Bryant is buried at Elmwood Cemetery in Birmingham. He played football at Alabama and served as head coach at Maryland, Kentucky, Texas A&M and Alabama during his 46-year career. He also served as athletic director at Texas A&M and Alabama. Bryant is most well-known for his 25 years coaching the Crimson Tide. He won six national championships and 13 SEC titles. His career record is 323-85-17.